Last week marked an important moment in shoe history. After 98 years, Converse Chuck Taylor All Stars announced that they were upgrading their shoe design. For years now I have worn and recommended Chucks as they offer some unique advantages over other shoes for lifting. These days there are countless shoe options. Each training situation has unique requirements and may benefit from a different shoe. If you want to maximize your results and minimize your risk of injury, you need to have the right pair of shoes for you and your training. 98 years ago, Converse started making the original Chuck Taylor’s All Star. This simple, design of a solid, flat piece of rubber with canvas has served athletes well for almost a century! It provided folks with just what they needed – protection for the foot while minimally inhibiting the natural, intricate workings of the bones and muscles of the foot. As time marched on (I couldn’t resist the pun), shoe technology “advanced”. I still remember as a kid in the 80’s how enamoured we were with the Nike Air shoes. After all, Michael Jordan wore these and that must have been what allowed him to jump so high. During the 80’s and 90’s shoe manufacturers kept coming out with new ideas to add support and cushion to athletic shoes. The shoes got stiffer a more supportive (anyone remember the Reebok pumps?) while the soles got squishier as various pads, air pockets, gel packs and eventually springs were inserted. While all these technological advances seemed like a good idea, the results were not good. By adding extra support around the ankles, you limit proper ankle range of motion. This places more stress on your knees. In addition, when your foot it locked up in a shoe the feet muscles fail to work properly or learn to stabilize. Also, your body loses some of its ability to gain important proprioceptive feedback from the feet. With all the cushioning that was added to the heels changed running styles. People moved from a mid-foot ground contact to a jarring heel strike. The result for distance runners was more impact stress as the body lost the ability to have the lower leg muscles and Achilles tendon help with shock absorption. It also taught athletes to “sprint” on their heels – which is a great way to be slow as a heel strike during sprinting creates a breaking effect on the body. Thankfully in the 2000’s, a growing trend of barefoot training emerged. The problem with this however is that many people who were used of these ultra-supportive, heavily cushioned shoes when straight into barefoot running. For many there was no gradual build up or easing in. This just through on a pair of Vibram Five Fingers and hit the pavement. We are now finally getting some research on barefoot training, but I have not yet see research on barefoot training and lifting. How to Pick the Best Shoes from You! If you have a specific issue with your feet or lower legs, follow appropriate medical advice with your footwear selection. Shoes have become very specialized. You need to have the right pair for what you are doing. Also, lifting is very different from running and athletics. You run and play sports on your forefoot, but you lift on your heels. Within lifting you also need to consider the style of your lifting. For example, if you squat like a Powerlifter (more vertical shin and really sitting back at the hips), you may prefer a flat-heeled shoe like a Converse All Star. Many old-school Powerlifters also used Wrestling shoes. If you squat more upright and deep like an OIympic Weightlifter, you may want a Weightlifting shoe with a small heel lift. Weightlifting shoes are also important if you are doing lifts like split jerks or split snatches. This rapid splitting motion of the feet places a lot of forward sheer force and this can be dangerous to do without the extra support of a proper Weightlifting shoe. 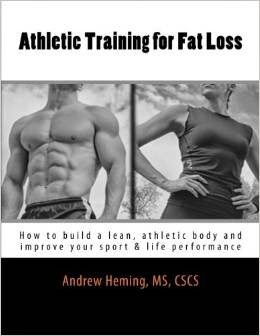 Where do you train and what are the rules? When I train at home, I go barefoot. When I train in our athlete training area (where shoes are required to prevent infection spreading), I use water shoes. I got these ones on Amazon for $16.99. Yes, they are quite the fashion statement (they look like they are part of a superhero costume - watch out bad guys - I'm Bee Man! ), but they provide protection for the bottom of my foot and still feel like I'm in a pair of socks. There are many other great minimalist options. 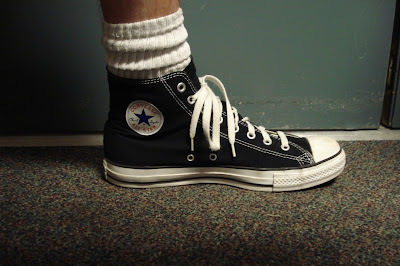 The classic option is the original Chuck Taylor’s Converse All Star. I love these and often wear these for work, though I still like the water shoes best for training. What do you train on? While the argument for shoes not being natural is compelling, there is another side to this that is often over-looked. If you are walking on grass, sand or dirt, barefoot works great! However most of us spend the majority of our day on hard, flat surfaces such as concrete – which is also not natural. For example, I personally love doing farmer’s walks barefoot – if I’m on grass. However, I tried doing heavy, barefoot farmer’s walks on concrete (covered with a 1/4 inch rubber mat) and I got an intense pain deep in the bones of my feet. For over 10 years, I have done most of my standing exercises barefoot. When I try doing squats, deadlifts and standing barbell presses with shoes I feel weak and unstable. When I do these barefoot, I feel strong, stable and balanced. I like the natural connection with the floor. Recently my training partner who was in the habit of wearing his Olympic-style Weightlifting shoes forgot them. We were front squatting that day so we used a ¼ inch rubber mat under our heels. Interestingly, we both liked it better and for some reason he was able to squat way deeper (he went from just above parallel to well below) than he could in his Weightlifting shoes – despite the fact that his Weightlifting shoes had a higher heel. Don’t ask me why, but it worked for him. Find what works for you. Evaluate how your feet and lower legs feel during and after training. Also evaluate your strength, performance and movement quality with different footwear options. Personally I use multiple options depending on the exercise. Most of the time I wear my water shoes. However, I still like a pair or runners with some padding when doing heavy calf raises or lunges. For Olympic Weightlifting variations or Weightlifter-style squats, I sometimes pull out the Weightlifting shoes. How about you? What are your favorite shoes for training in? Please share what you prefer below or on my Facebook Page. Thanks for reading Usman, and thanks for your kind words.